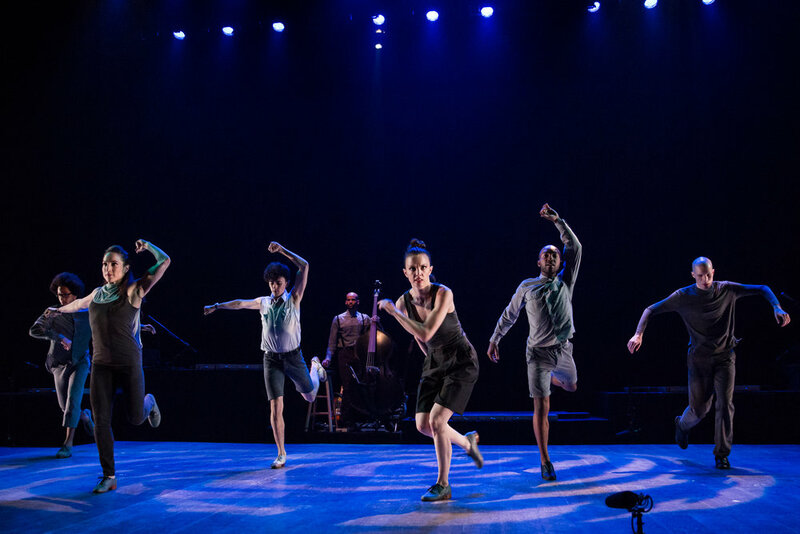 Using original tap “instruments” designed by 2014 Bessie Award Winner Nicholas Van Young, the score is not simply danced to, but danced BY the company. With the right programming, the sound of a single footfall can range from a snare drum to a note on an arpeggio. ETM: The Initial Approach was co-commissioned and created, in part, during a Creative Development Residency at Jacob's Pillow Dance Festival, with support from the Jacob's Pillow Dance Award Initiative. 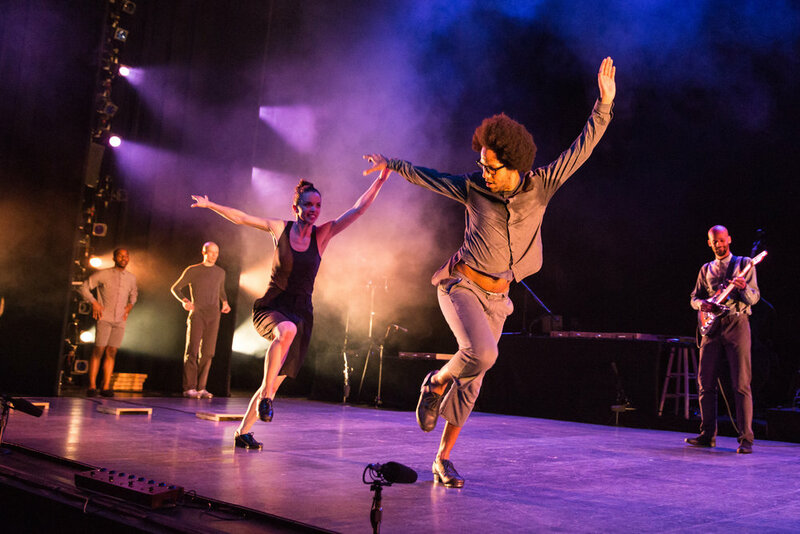 ETM Double Down was created in part during a Creative Development Residency at Jacob's Pillow Dance Festival and during a residency provided by The Joyce Theater Foundation with major funding from The Andrew W. Mellon Foundation.